Tulia Unit, also known as Tulia Transfer Facility, is a minimum security prison located in Tulia Texas, part of Swisher County. Located on 25 acres, Tulia Transfer Facility houses up to 606 adult male offenders who are classified as G1, G2, or Transient. 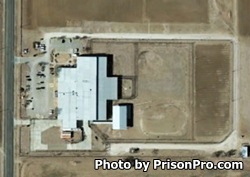 The prison is secured by a twelve foot razor wire topped fence, a ten foot high inner fence and a roving armed patrol. Tulia Unit is comprised of multiple living units. A-P, T1-T5 house offenders in dormitory settings. T7 and T8 house up to 12 offenders, while X1 and X2 house inmates in double occupancy cells. Additionally, inmates who are classified as Transient or who are awaiting pre-hearing are housed in double occupancy cells designated W1-W20. Inmates at Tulia Transfer Facility are provided recreational activities that include board games, weight lifting, basketball, volleyball and hardball. Offenders are provided educational classes in literacy, adult basic education, and GED testing. Additional courses are provided including the CHANGES pre-release course which helps prepare inmates who are nearing their parole or discharge date. Work assignments at Tulia Unit include providing facility maintenance, tending a unit garden, and providing a supervised labor force to local government agencies. Inmates incarcerated at the Tulia Transfer Facility are allowed visitation on Saturdays and Sundays from 8am to 5pm from anyone who is on the offenders approved visitation list. The address on the visitor's identification must match the address submitted by the inmate. Offenders are allowed a single two hour visit each weekend. Visitation ends promptly at 5pm, so if you arrive anytime after 3pm you will not have a full two hour visit.